Shigatse. Tibet. 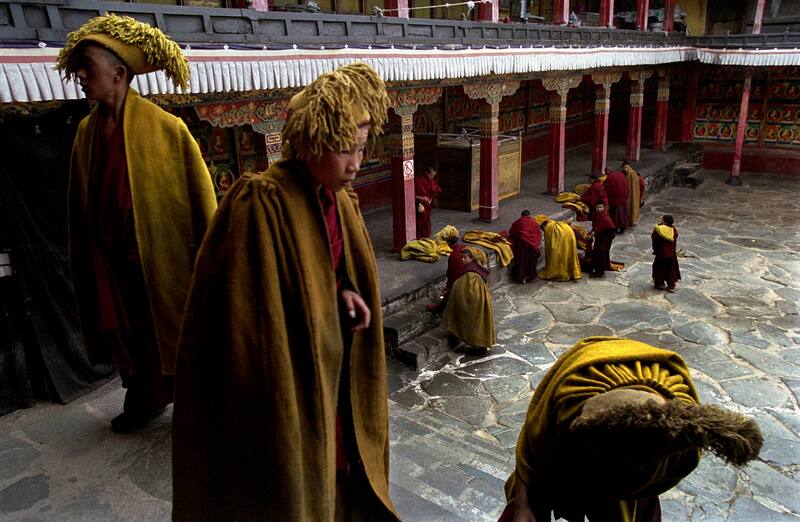 July 2007 Young monks at Tashilhunpo Monastery in Shigatse, known as "the Yellow Hat Sect". The monastery is the seat of the Panchen Lama, the Dalai Lama's sometime rival and it is widely reputed some monks here spy for the Chinese authorities.